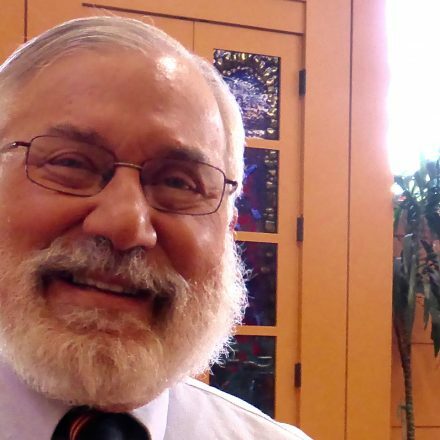 Read our member stories, below, to hear how Sha’ar Zahav affirms the sacred in each and every one of us, is a home for diverse expressions of Judaism and spirituality and where we create new Jewish traditions that honor our diverse, modern lives. The Siddur, we created to reflect our lives, inspires people all over the world. When the idea of creating our own siddur at Sha’ar Zahav was first mentioned, it seemed unthinkable. For decades, we had been using a photocopied selection of prayers first assembled by our founders, who built a home for gay and lesbian Jews. They needed liturgy that was inclusive and welcoming of them and their loved ones. Years later, our congregation outgrew those photocopies. We needed not just a siddur that spoke to us, but one that came from us. The task was daunting, but we came together and found a way for everyone to participate. 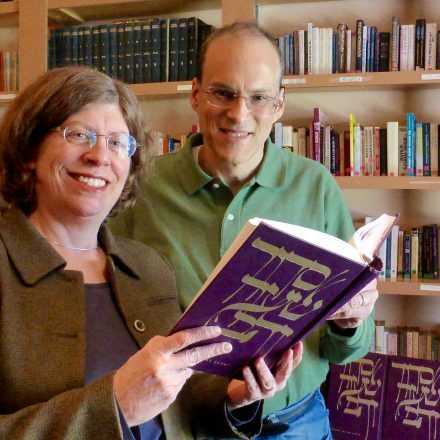 Some of our members researched traditional Jewish themes, shedding new light on ancient texts. Writing groups gathered to create new blessings and poetry. Our artists eagerly donated their line drawings and photography. People from Orthodox traditions joined people new to Judaism to teach, share, and create diverse expressions of Judaism and spirituality. In 2009, we published Siddur Sha’ar Zahav, never predicting how much influence it would have in Judaism around the world. You can now find it in Jewish libraries, synagogues, and rabbinical colleges; one congregant brought it to Cuba as a gift to a rabbi, only to find it already on his shelf. Our siddur was even featured in the series Transparent, which is the first show to win an Emmy for an actor playing a character who is transgender. Our members wrote the most powerful prayers in our siddur. At Sha’ar Zahav, such inspiration is the result of a community doing what we never thought possible. We invite you to come celebrate Shabbat with us. Sha’ar Zahav sparks new friendships between people with different life experiences, people who might never meet outside of our community. I did not know what to expect when I landed alone in Tehran. People warned that it could be a dangerous trip for me, as someone is gay, American, and Jewish. So on arrival of course I was nervous, because in the United States, Iranians are often portrayed as evil. But I found just the opposite. I was embraced by the Iranians I met; I was welcomed into people’s homes where we shared wonderful food and warm conversation. I even found a thriving Jewish community in Shiraz, near where the ancient story of Purim took place. When I returned to San Francisco, I was eager to share my experiences with friends at Sha’ar Zahav. But I never expected how excited they were to come together to learn from my experiences. I was invited to speak from the bimah about my travels and how they encouraged me to challenge stereotypes. Following services that evening, other members of Sha’ar Zahav showed up with a Persian feast that they had spent weeks researching and preparing. They made golden, crispy rice dishes and fresh vegetables spiced with saffron, sumac, and cinnamon, and as we all shared the meal, we talked about the bond between Jewish people throughout the world. My friends at Sha’ar Zahav even stayed late to hear more stories and see pictures and videos from my journey. Everything about my trip was extraordinary and unexpected — especially the way I was honored and welcomed home. The people at Sha’ar Zahav validated my experiences, and helped me realize that I am part of something much bigger than myself. I invite you to come experience our close-knit and inviting community, and learn with people who you might never meet outside of Sha’ar Zahav. Sha’ar Zahav honors people who are new to Judaism, and celebrates their unique backgrounds and hopes for the future. It was a tough decision to convert to Judaism. I grew up in an Episcopalian church, and being part of a religious community has always been important to me. After moving to San Francisco, I missed being surrounded by such a community. I decided to give Judaism a try when dating my now-husband, who grew up Jewish. At first, I hesitated to join a synagogue. Growing up, I had friends who practiced conservative Judaism, which seemed very different than the more liberal ideas of my Episcopal church. I was worried that I might feel out of a place among new traditions and Hebrew prayers, or that my conversion might cause conflict with my family. 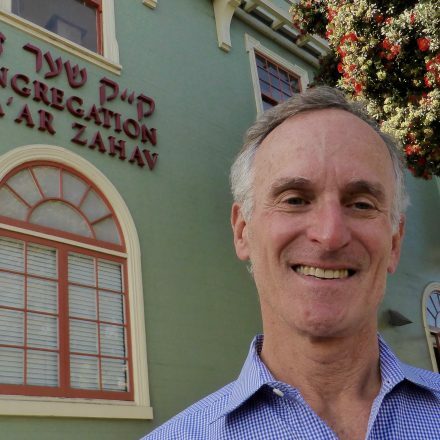 Sha’ar Zahav interested me because the congregation is rooted in history as San Francisco’s gay and lesbian synagogue. It felt like a safe place to be an outsider because people here respect diverse beliefs and identities. They advance the ideals of justice, equality, and compassion I had grown up with. One night at Shabbat services, I heard a congregant talk about his lifelong questioning of Judaism and realized that Sha’ar Zahav would allow me to explore Judaism on my own terms and at my own pace. I started the conversion process wanting to make sure my spiritual practice was mine, that it was something I developed and embraced, not something I inherited. Sha’ar Zahav made that possible, and members encouraged me to ask questions and get clarity about what I believe. At services, other congregants took time to explain prayers and practices. My mentor in my conversion program encouraged me to make my own meaningful traditions. For Purim, I made hamentashen and sent them to my mom. She came to San Francisco before my wedding and accompanied me to the mikvah to celebrate and honor my conversion. She is thrilled to again have a spiritual connection with me, no matter the details of the faith. I invite you to learn more about what you can experience at Sha’ar Zahav if you are new to Judaism. Sha’ar Zahav surrounds you with a Jewish community that honors and believes in you. I couldn’t believe when thirty people showed up to our first service in 1977. My friend Bernard Pechter had placed an ad in the classified section for a gay synagogue and people were eager for the experience. After our whole lives of being scorned by other synagogues and often by our families, we wanted a Jewish community where we could celebrate our lives and relationships. Sha’ar Zahav started meeting in the basement of the GLIDE Memorial Church and quickly became a traveling synagogue. We met in a gay community center, at the Jewish Community Center, the Women’s Building, even in a Buddhist monastery, and eventually grew large enough to secure our own space in the Castro. People kept coming to support each other and create a spiritual practice that affirms the sacred in each and every one of us. When Harvey Milk was killed, hundreds of people packed our synagogue to remember him and remind each other of the strength of our community. During the AIDS crisis, we really showed up for each other. I remember our Megillah Madness Purim celebrations, which we started to add some joy and silliness into our congregation while so many people around us were sick and dying. We danced and sang and acted, and reminded each other of the power of close friends, a few laughs, and a loving community. In 1997, when we moved into our new building in Mission-Dolores, we had over 350 families in our congregation, and they lined the streets to dance and celebrate as we carried our Torah through the heart of San Francisco. I never thought I’d see such a vibrant community celebrate the diversity of Jewish people. Today, Sha’ar Zahav remains rooted in our history as San Francisco’s gay and lesbian synagogue and now offers the warmth and comfort of chosen family to people of all backgrounds and identities. When I mentor the children in our school — and I never thought in 1977 we’d be a congregation with children! — I often ask them why they want to be a Bar or Bat Mitzvah. Some of them believe in G-d, some don’t, but all of them believe in the power of being a part of this community. I invite you to come and experience for yourself the power of a community that shows up for each other for all of life’s celebrations and challenges. May 1970. After a cross-country odyssey in drive-away cars, my friend and I have just arrived in S.F. We are standing at a phone booth near the Pinecrest Coffee Shop at Geary and Mason. It’s 9:00 pm. We know nobody and have nowhere to stay. I have $10 – Terry has $90. The Quakers take us in for 2 nights, we then find hotel for a month at 9th and Market -and live on a loaf of bread and a jar of peanut butter until I get a paycheck for a week’s work somewhere. How did I get here? February 1944 – post-war bombed-out London. I’m born into an orthodox kosher-keeping family consisting of my Yiddish-speaking grandmother, my father, the barber, my mother, the dressmaker and my sister. There’s little money to go around, not much food, few books or music and everyone is totally worn down but grateful to be alive. How did I get here and how soon can I get out? 1958 – I’m sitting in the women’s balcony of the Ealing & Acton District Synagogue looking down at my father in his tallit – and he appears to be telling a joke to the man next to him. I adore my Dad – his jokes, his dapper suits. 1968 – my Dad died in ’66 – my mother fell apart and I flee to New York aboard the SS France. It’s July in New York – air conditioners are dripping on me as I wander the humid streets. Let me out of here. Chicago is next. I take a job I really like. It keeps me in the Windy City for a year. There, I meet a clever, funny, witty, warm woman – Irish-Catholic – one of 10 kids from an alcoholic father and impoverished family. We are so different – and become totally inseparable. We laugh our way across the country for 3 months. We deliver our last vehicle to El Cerrito – it’s a huge RV and I’m a nervous wreck on the Bay Bridge. I get a ticket for driving too slowly! We grab a bus and arrive in San Francisco – 9:00 pm – it’s May, 1970. Nowhere further West to go. 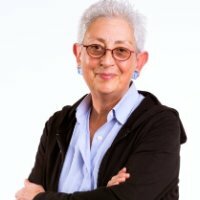 1979 – for almost 10 years I wander the desert that is SF – searching for someone, anyone – like me – Jewish, lesbian, jock, smart, funny, resourceful, employed. I feel like Sandra Bullock in “Gravity” – floating around in space – wondering if I can find my way home. Search the Classifieds (that’s how we did it then). 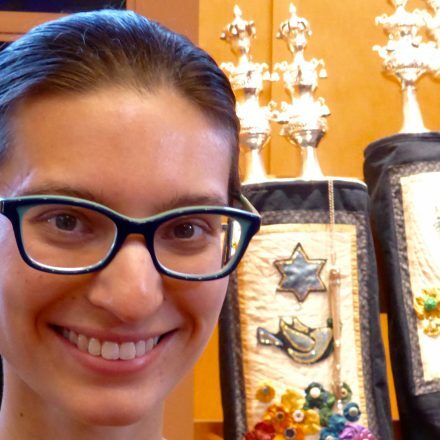 There’s a Gay Synagogue here – are you kidding me? I walk in. I take a deep breath. It’s possible I have struck gold. I’m asked to chair an international conference of LGBT Jews; I’m asked to be Treasurer; I’m asked to join the Board. Yes, Yes, Yes – I say – I’ll do anything. These are my people. I want to be here! 1983 – I chair the fundraising committee to buy our first Building on Danvers Street. At its inauguration I march down Danvers Street embracing the Torah. Tears streaming. Oh my – I am here! 1984 – I’m President. Every day I’m discovering the alchemy of what happens when many heads put their brains and hearts together to create a dynamic and vibrant alternative synagogue. The Past President’s Council is now my favorite group with whom to explore ideas. It’s worth having been President so that you can be a member of that august group! Today I have friends of almost 40 years from SZ, I have learned to say Kaddish, the Birkat Hamazon, the Channukah songs. I believe I have fulfilled my potential as a Jewish woman, as a leader and as a member of this community. Sha’ar Zahav has enriched my life; my roots are deep here. SF is my home. Please, – ask yourself how you got here and when asked to join, donate, get involved consider the hundreds, perhaps, thousands who’s lives have been enriched by the existence of SZ. That is how I got here. Hineni. I am here. I will be here to the very end.